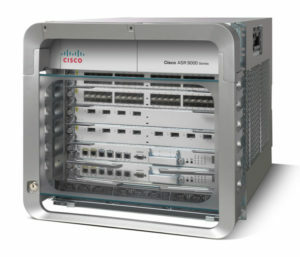 HomeNetworkingCiscoWhen IOS XR Licenses Don’t Activate, What Then? When IOS XR Licenses Don’t Activate, What Then? I came across a small but irritating issue with ASR / IOS XR licensing today, and since I found a way to fix it, I’m sharing my results. I have an ASR9006 with two A9K-MOD160-TR linecards on which I need to run VRFs, so I purchased two of the A9K-IVRF-LIC linecard-based VRF licenses. I got the PAK keys from my reseller, and went to Cisco’s licensing portal to fulfill both of them following the usual process with the PID and S/N information taken from admin show license udi. I downloaded the license file and transferred it to an accessible jump server, then from the regular privileged exec mode (rather than the admin exec mode), I used sftp to transfer the file to the router. Why not use the admin exec to transfer the licenses? Info: License add successful for feature(s): "A9K-iVRF-LIC"
License command "license add disk0:license.lic.xml sdr Owner " completed successfully. RP/0/RSP0/CPU0:asr9006-1#admin config RP/0/RSP0/CPU0:asr9006-1(admin-config)# license A9K-iVRF-LIC type permanent location 0/0/CPU0 RP/0/RSP0/CPU0:asr9006-1(admin-config)# license A9K-iVRF-LIC type permanent location 0/1/CPU0 RP/0/RSP0/CPU0:asr9006-1(admin-config)# commit RP/0/RSP0/CPU0:asr9006-1(admin-config)# end RP/0/RSP0/CPU0:asr9006-1# RP/0/RSP0/CPU0:asr9006-1#admin show run license A9K-iVRF-LIC license A9K-iVRF-LIC type permanent location 0/0/CPU0 location 0/1/CPU0 ! ! Apparently, the licenses have not been applied to 0/1/CPU0 despite my configuration. Comparing this to another reference source such as Jeff Fry’s IOS XR guide, this seems a bit odd. Jeff’s guide shows IOS XR behaving the way I would have expected, with the licenses applied to 0/0/CPU0 and 0/1/CPU0 after issuing the sequence of commands above. Info: service running on the first slot . Info: This request will revoke active licenses. License command "license move A9K-iVRF-LIC slot count 1 from 0/0/CPU0 to 0/1/CPU0" completed successfully. By some miracle, this worked and now I show both licenses active and assigned to the two line cards. Confusing? Yes. It is to me at least; thankfully I don’t have to apply IOS XR licenses very often, and this result encourages me that I have made the right choice in that matter! Why did the licensing do what it did, and why did moving a license fix it? I have no idea. If you can tell me—and I have a suspicion the answer will be blindingly obvious to somebody out there—I would be grateful. Meanwhile this will be a useful reference for me next time I get confused about license installation on IOS XR!